All revolutions devour their children. The Brexit revolution is no different. Each day in London there is more news of an MP, a minister, a journalist, or an economist disappearing into the black hole of Brexit and looking ridiculous in the process. The worst thing the European Union can do is cut off the slow but accelerating auto-destruction of the Brexit camp in Britain. The longer the United Kingdom avoids the horrors of a No Deal crash out over the white cliffs of Dover the quicker the majority grows that has learnt that staying in the European Union makes sense. In 1962, General de Gaulle, in turning down the request from the UK to sign the Treaty of Rome and join the European Economic Community said “I have nothing to offer the poor prime minister, Harold Macmillan.” London commentators have been excited at the possibility President Macron may also say “Non” to Theresa May and refuse any extension in order to show France can humiliate Great Britain. This would be a mistake. 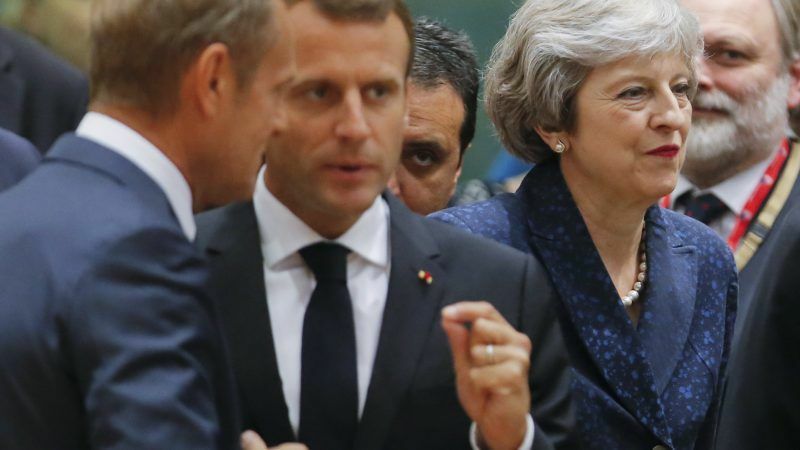 The far greater punishment that could be meted out to the camp of anti-Europeans in England is to be on their knees begging Macron, Merkel and all the smaller nations of Europe to be allowed to stay in the EU for another 6, or 12, or 18 months. The élan of the anti-Europeans in England in June 2016 has evaporated. No-one believes them any more. There are serious criminal investigations into the illegal financing of the 2016 plebiscite. Trails of dark money lead back to Russia and the hard right in the United States. Deputies announce they have changed their mind on Brexit. One of England’s top intellectual journalists of the right, Peter Oborne, who has written a hundred columns attacking the EU as a federal super-state manipulated by the secretive bureaucracts of Brussels has now done a major mea culpa. In a long article this week that quickly went viral and was given prominence by the BBC, he announced he was wrong and Brexit was a terrible mistake and the promises of the pro-Brexit ideologues like Boris Johnson were false. Johnson himself and his anti-European comrades from the English elites are using more and more hysterical language about “treason”, “traitors”, “collaborators” or “Quisling” when describing Theresa May and the members of her cabinet who oppose an immediate amputation with Europe. That kind of manic hate against Theresa May is making the extreme Brexit camp look hysterical as all they can is scream and shout like babies who have lost their toys. An extension also obliges the UK to take part in the European Parliament elections. This will allow the 1 million who marched in London against Brexit or the 6 million who signed an e-petition to Parliament to stop Brexit to vote for pro-European candidates. The UKIP party, once the flag bearer of anti-European votes in European Parliament elections in 2004, 2009 and 2014 has split apart. Nigel Farage is trying to create his own rival party and other UKIP prominenti have left in disgust at the turn to extreme racist and white supremacists politics of the current UKIP leadership. There are also 3 million European Union citizens in the UK who can vote in the European Parliament elections. They will vote for pro-European parties like the Liberal Democrats, the new breakaway party formed by pro-European deputies who quit the Conservative and Labour parties in disgust at their refusal to campaign against Brexit. In Scotland and Wales, the nationalist parties are both anti-Brexit and will win seats. So it make more sense to leave Britain twisting on the hook of its Brexit vote in 2016 which every opinion poll shows no longer has the support of a majority of the British people. Mrs May is treated with a misogynist incivility by her own deputies and by the British press. President Macron should be courteous and recall the maxim of François Mitterrand: “Il faut laisser le temps au temps.”- let time do its work. In 2016 the battle for the Brexit plebiscite was lost. But the battle to save Britain from isolation and economic amputation from Europe is only just beginning.